The Endeavour crew were back in Oxford filming the first episode from series 3 and here are some shots from behind the scenes. It was very nice to see some familiar faces among the crew which was made up of a mixture of crew members from both Lewis and Endeavour. 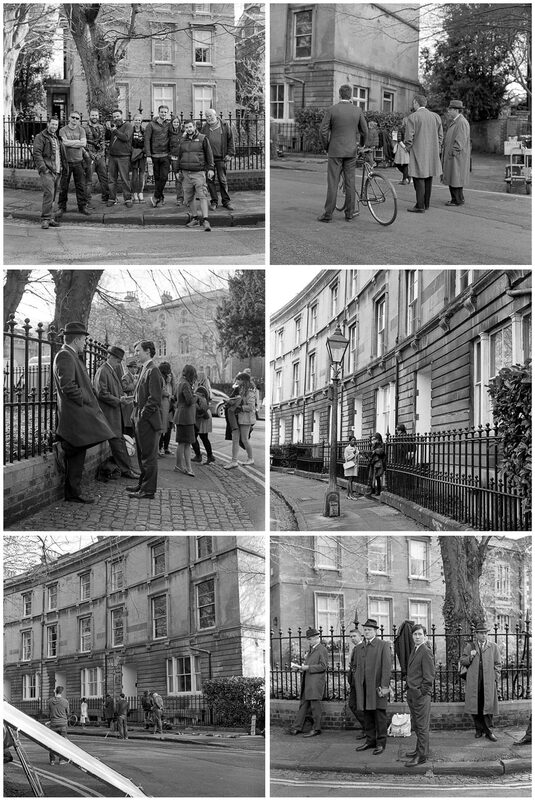 These shots were all made with my 1960’s Rolleiflex twin lens reflex camera which I like to use for behind the scenes photography because not only is it very quiet but it’s also from the same era as Endeavour is set. Tech info: Rolleiflex 2.8F, 80mm Zeiss Planar lens, Kodak Tri-X film, processed in Kodak HC110 1+31.